‘Of all the peoples of Gaul, the Belgians are the bravest.’ This pronouncement, made by Caesar at the height of his power, has been widely quoted ever since. At that time, Caesar, finding himself up against this immense bravery, asked one of his most loyal servants to find out the secret of this proud people. The answer, he discovered, was not any magic potion, but an extraordinary type of high-fermentation beverage known as an ‘abbey beer’. Caesar immediately commanded that such a drink be produced in order to give his armies the same toughness and courage. To evade his enemies’ notice, he ordered that it should be brewed not at an abbey but at an unknown monastery. Code-named ‘Dominus’, it was supposed to help Caesar’s armies gain control of Gaul. This monastic beer had exceptional effects, and very soon, the expression in vino veritas was superseded in the streets of Rome by in cervisia veritas. Much later, monks belonging to the Order of Cistercians of the Strict Observance and attached to La Grande Trappe Abbey adopted the recipe for their own use. 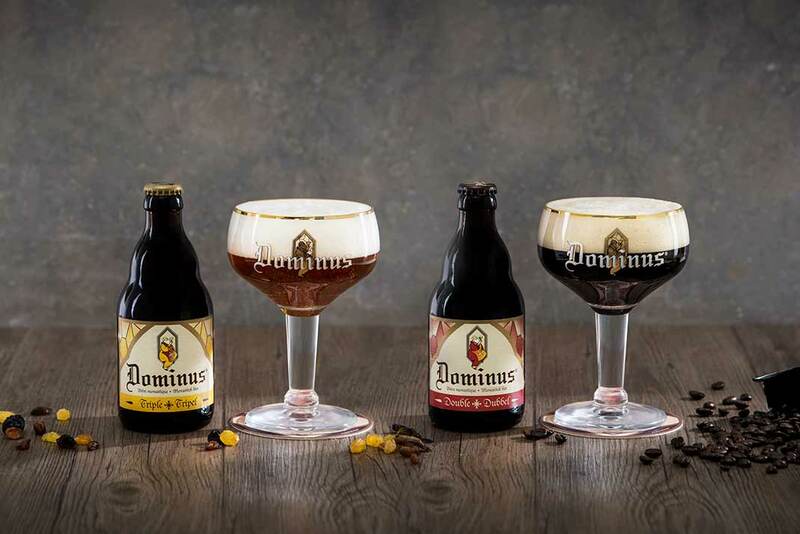 Today, Dominus is still brewed in accordance with the tradition which enabled Caesar to come, see and conquer the most formidable of adversaries. Dominus vobiscum !